The latest film from Margarida Cardoso, Yvone Kane, presents the force of three women in a story about memories and missed meetings. Colonialism in Africa, the end of empires, changing societies, the status of revolutionaries, incurable pains, and the relation of the individual to History all make up its cinematographic universe. 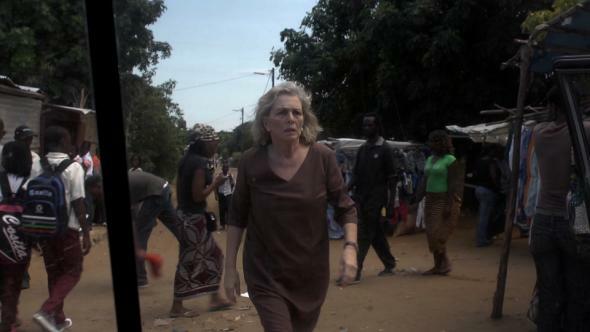 In Angola, she also filmed first-hand accounts given by the generation involved in the conflicts of 1977. Through Yvone Kane we are able to reflect on the weight of these overwhelming events within a personal story. How did your interest in filming Africa begin? 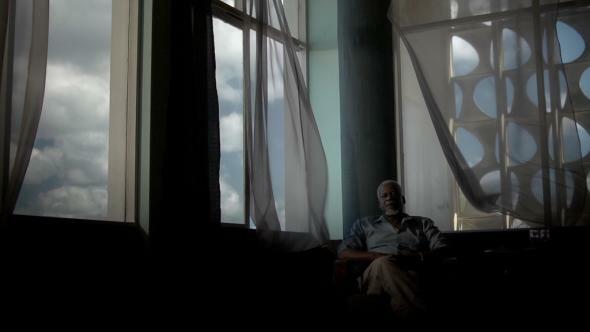 I made two short films before my first documentary, Natal 71, in which I began researching into my father and the war, trying to shape a largely unknown past. When you have a childhood in a distant place it is more difficult; there is no one to talk about what happened and the past stops existing. The few remaining relationships disappear and only ruins and transformed spaces remain. A building has the marks of time inscribed on it. You went to Mozambique in the 1960s because your father was in the army. He was in the Air Force. He did three tours, in 1966-75. We moved to the places where the bases were, switching between Lourenço Marques (today Maputo), Beira and Nampula. Was it normal for families to accompany soldiers in order to create a certain normality? It was encouraged by the regime. We even took our grandmother. The idea was for the soldiers to stay there as the logistics were well organized. They said it was a campaign, not a war. How was it growing up in this context? We went to live in a house in Macuti, in Beira, which was next to the indigenous neighborhood, and you could hear the drums. We had never had servants but there it was normal to have them. So the Domingos came, whom my mother treated as her own children, even becoming friends with them. We never had servants again, it caused too much confusion. Did you have any undesirable subaltern relationships? Yes, and they were people I knew to be very strong, but later there was a communication barrier. Did you go to schools for assimilated whites? I always went to state schools. There were people of all types there, but I associated myself more with the local residents. The school was a bit oppressive with very strict teachers and we had to sing the national anthem. Were you becoming aware of a resistance to the colonial regime? My father was very politically involved; he went through a period of blind faith only to then understand the absurdity of the situation. There were certain disputes. What I remember most, from a child’s perspective, were the banned books, such as Mafalda by Quino, which we secretly got from a bookshop in Maputo. It felt great having banned books. Afterwards, there was a lot of tension and problems, lost people, soldiers that drank heavily, etc. My parents denied the “situation”, and they got annoyed with the people who wanted to stay there. They were the final years of the Empire… how was the revolution of 25th April received? In Beira, there was a revolt by the civilians against the soldiers. The war got closer and a priest was decapitated close to Macuti. The civilians, led by a group belonging to Jorge Jardim, who was “in charge” of the city, stopped the soldiers from leaving their messes. They surrounded the buildings shouting “oh boy, you’re going to kill, you’re going to kill the black man”. They also encircled a hotel for paratroopers. Basically, it was very tense between civilians and soldiers, to the point that there was even grenades on the promenade. When the revolution happened, the feeling that it was all ready to explode was already there. There was the feeling it would be impossible to solve the situation militarily. I remember my father was reading Portugal e o Futuro (Portugal and the Future), by António de Spínola, and he said there was going to be a revolution. And through cinema you recover scenes from your life. They were tough things, related to death. I felt my mother’s anguish: planes were grounded, they began to stop supplying the bases. It affected me always seeing my mother in a state of panic. What did deterritorialization teach you? A certain melancholy over not belonging anywhere. With this type of experience, related to a historical guilt, there is a modesty in reclaiming territories, it seems that something is being used. And afterwards, we knew a lot of people but we were not connected to anyone, we have a lot of unattached images, etc. so it gives you the urge to stick pieces together to form a narrative more solid than the past really was. It provokes a very solitary journey. What is reflected in your work? It brings something very rich, it opens perspectives, it sharpens the curiosity. I do a lot of things alone, but happily. I do not like to join groups much, I do not have that tendency. Like in the film when Rita says to her mother: “I know you did what you could”. I always remember that people do the best they can. The trajectory of your work has a historical sense: from the colonial war to post-independence. A retrospective view on something that has passed. I had the feeling that in the other films I made in Africa I was always referring to the past. And I thought: I am in the present but I am not keeping any memory of the present. The change in those countries is crazy, nothing to do with European times. I live in torment over the fact that things are disappearing which I can still bear witness to. I associate myself a lot with places, archives, witnesses. I understood I was tending to save and reconstruct a time on the edge of the abyss, such as colonial times, as if the relationship with Africa were on a precipice and the most difficult time to recover was the post-revolutionary period and the end of the ideological relationship. The movement and the need to capture and save those figures that are disappearing is what I like to do. In Yvone Kane there are whites that went to Africa. Did the Europeans who were enthusiastic about the revolutionary movement or went there as missionaries do it to right any wrongs? A power relation goes from one place to another, people are not themselves, they have to play with the perception of the other. It is a difficulty that cannot be transposed, that is the way it is. 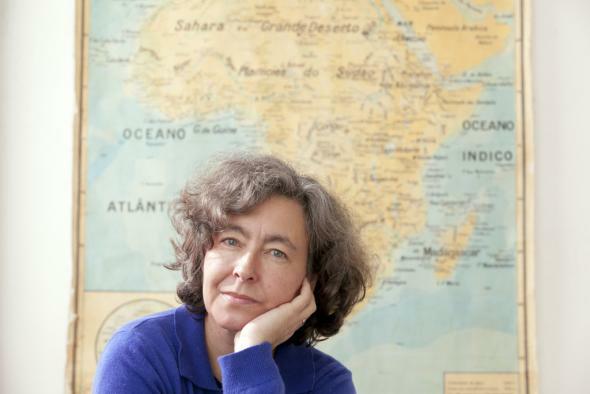 In Yvone Kane there are people that recognize many political and historical things, that is what creates an intimate story, but I tried to aim more so that a geographical identification was not necessary. That is why the action is not set in any particular country? It gives it a very ethereal sense, the characters are mysterious, ghostly. They represent many things. It is what I like most but it is also perhaps one of the film’s weaknesses. Yes, there is verisimilitude but one feels a lack of reality. When Rita (played by Beatriz Batarda) investigates the mysterious Yvonne Kane is it an attempt to get closer to the mother’s universe? When Yvonne’s past is revealed – which coincides with the past of various countries – Rita enters into the mother’s universe. They get separated and they do not meet again: the mother dies and she is buried with kuduro and saws as background music. The swimming pool is metaphorically buried. At the end a South African woman smiles happily. There is a “bright” side to everything: we are going to bury the past, but that is how life is. These people today do not have a place of origin, they speak strange languages. In the film it was important we do not know where the characters come from. The death of the daughter at the beginning creates a void. We do not find out who killed Yvone Kane, it is only a pretext. What attracted you to this relationship of the individual with History, to the moments when history accelerates? At this moment things are very radical, it breaks with certain routines. They are intense moments in which things happen, are created, they have a very strong existence. It interests me because I am able to remember. I am at the forefront of time, thinking about how what we are experiencing right now will be a few years from now and to see if History can teach us a lesson. Rarely I find it. At the end of the day, we do not learn from History, we commit the same mistakes. It interests me what will be read into our present actions. It is Benjamin’s Angel of History turned towards the ruins of the past. I saw a lot of perspectives, from every side of those that filmed the fight for liberation. I carried a lot of archive material. In these archives was there any iconic pictures of female guerrillas? Yvone Kane can be related to other female guerrillas and perhaps slightly to Sita Valles’ story. What inspired you? What inspired me in the story of Sita Valles was betrayal, the cauldron was boiling over and neither she nor Yvone realize it. Owing to a certain naivety? A spiritual strength means they are not aware of something that transcends them both. They are very different people, but they do become acquainted. They were eloquent figures and very charismatic, pretty, committed and educated. Yes, after having stripped them of all types of personal and intimate history, and having transformed them into sexless icons. This is what happens with heroines. For this reason, in the story, Yvone has a love affair with a younger person; it was a way of saying that she existed. You constructed the figure of Yvone from archive images. Do you like showing how easy it is to manipulate History and to fabricate realities? First I mounted the archive images and afterwards I created Yvone, or in other words, I put her into a context that already existed: Yvone speaks in a stadium saying “the fight continues”, or she takes control of a government, alongside the president. We begin to think about another path for those governments: how it would be if particular figures that were removed had have won power. How is the preparation going for the film Sob o olhar silencioso (Under the silent gaze), about 27th May 1977 in Angola. It was difficult to reconcile the material, everything had to be backed up. The witnesses, people who lived through certain events with others are full of emotions. It is not easy to construct a cold narrative on this subject. The difficult thing for me are the ethical questions, trying to understand how to see everything, where to place myself, not to leapfrog from one thing to the next. The witnesses were people from the same generation, some chose to stay, others to leave, all of them went through terrible things; they were arrested, humiliated, political dissidents, but they managed to recount it with a certain neutrality. Intimate things come up, such as family that left or a destroyed house. Something very basic that is the end of everything. And the witnesses from Angola? They are very interesting, I liked them a lot. It is fun to tell this with a map of Luanda, the neighborhoods. In Angola, racial, ideological questions and questions about social class mean that there are many factors in play. I cannot simplify and pass over all of this. I want to talk about certain things but when a tension overlaps that is there concerning what I want to say it is difficult, it always seems like I am running away from it or decontextualizing. I felt that I found myself in a strange situation, it is enough to say that 1977 has such significance that it made me feel like a traitor, someone who was looking for something that they should not have. This confuses me severely so I do not feel good working like that. Did you experience much resistance from people to talking about it? Many people spoke openly, we heard very strong stories, people that were doing well despite having gone through such terrible things. As if they have already overcome it? There are things that you never manage to solve but they can be overcome. “In Angola, it interests me to discover the type of society that was created, so different to Mozambique in terms of culture and customs. In Mozambique, racism is much more obvious”. Perhaps because in Angola the country went through very troubled times after this. In Portugal people crystalized these memories more. Yes, in Portugal there is a traumatic side, in Angola you have to live with the aggressors, meanwhile people changed and they have different perspectives. Why were you interested in Mozambique and in a specific moment in Angolan history? In the case of Mozambique, it was personal history, returning there and trying to understand what had happened. In Angola, it interests me to discover the type of society that was created, so different to Mozambique in terms of culture and customs. In Mozambique, racism is much more obvious. Angola had a breed of colonialism that took care of the small things. Because the end is a metaphor for many things that happened, but also because of its context: a family that came from Goa, settles in Luanda, forms part of a society with a lot of changes, she comes to study in Lisbon. Sita’s past reveals a very specific and interesting socio-cultural richness. And also the attraction for the tougher side, the elegies, the revolutions, the injustices, the absurdity of the fraccionistas. Angola interested me because of Sita, if not I do not think I would have gone there. Was she a historical decoy? In a way. I am convinced that Sita Valles committed huge mistakes, and suddenly, because of certain circumstances, things turned ugly. This makes me think about our actions, everything can be all of a sudden so overwhelming. Also, it interests me to understand why some people got out and others did not. Interview originally published in the journal Rede Angola.